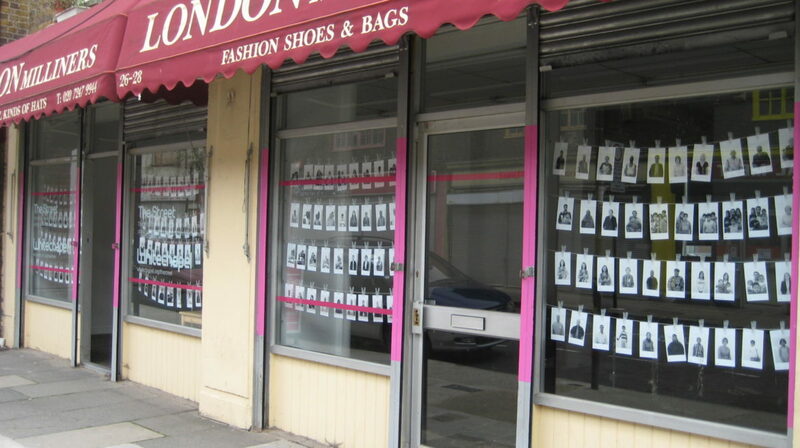 In August 2008, artist Eileen Perrier set up a portable photographic studio on a market stall in Petticoat Lane Market and in the nearby Denning Point tower block. Working with a headrest device, a 5×4 inch large format camera and black and white Polaroid instant film, Perrier invited local residents, market traders, city workers and passers-by to pose for portraits. Perrier’s photography frequently explores notions of community and identity. Perrier’s portraits celebrate individuality within the framework of often coincidental common ground. Full of empathy, they probe into the ways we construct public and private identities, or how others construct them for us. This project is part of The Street — a year-long series of artists’ commissions on and around Wentworth Street. The Street is supported by J.P. Morgan through the J.P. Morgan Art of Learning programme.